From new organisations who are just setting up to larger companies looking to upgrade their existing telephone systems Deycom Computer Services offer a range of solutions including phone systems based in the Cloud or on-premise PBX systems. We provide phone systems that work independently of your computer network or we can provide Unified Phone systems that are integrated into your IT infrastructure. Cloud or on-premise phone systems. Virtual PBX systems or physical PBX systems. VoIP telephone systems for low cost calls. Deycom Computers is a reseller for 3CX, a software-based, open standards IP PBX that offers complete Unified Communications out of the box. 3CX makes installation, management and maintenance of your PBX so easy that you can effortlessly manage it yourself, whether on an appliance, on your servers or in your cloud account. Take your work extensions almost anywhere by installing the 3CX App on your smartphone to make and receive landline calls. You can configure the 3CX to work with physical phone handsets, on your desktop or laptop and on your smartphone. Very customisable functionality for call management including working hours, out of office hours, voice mail message. Option to record calls if required. 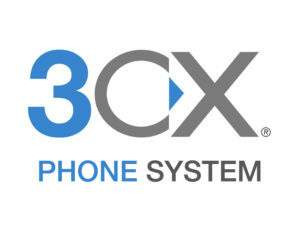 Get your free trial of the 3CX system. Client here to arrange.